The 9/11 Cultural Festival is seeking artists with 9/11 tribute inspired artwork to display artwork and perform at The First Street Green Park, 9/11 - 9/14, 1pm - 5pm, New York City as part of the 9/11 Cultural Festival. We are open to any art and performance that may or may not be inspired by 9/11 and we will be encouraging dialogue about 9/11. Theater, Medicine Show Theatre, First Street Green Park and Bowery Poetry Club. 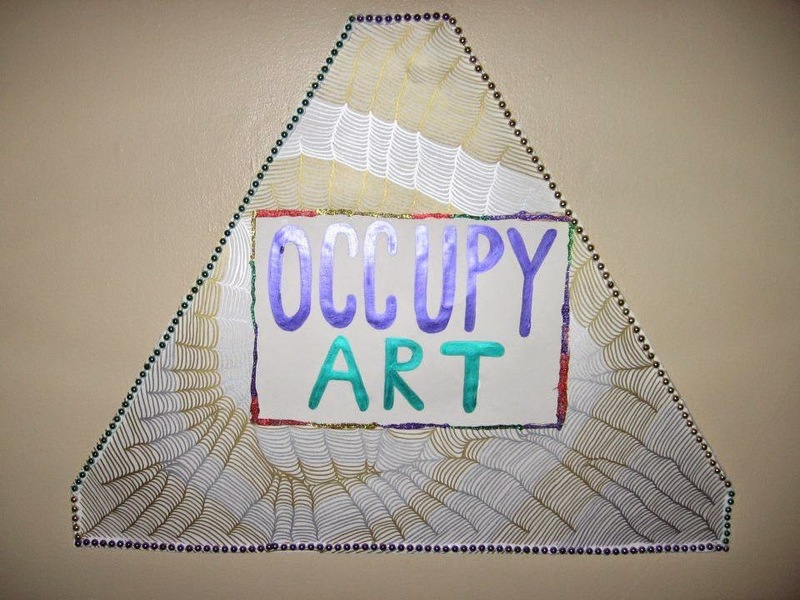 There will be a Script in Hand Reading Series and an Occupy 911 Art Show as part of the event. The World Premiere of a new play "Gaza Emergency Pageant" by Bread and Puppet Theater Company will be the featured event. 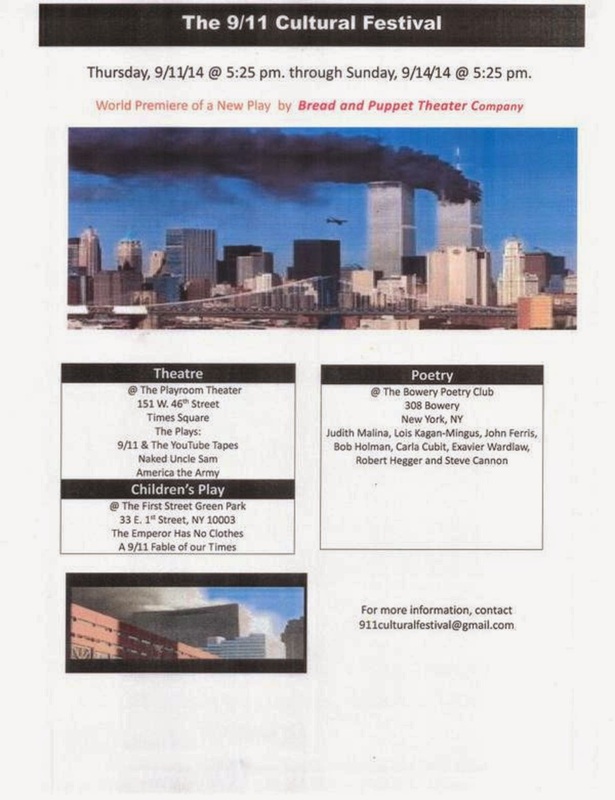 The 9/11 Cultural Festival will take place 8/16 & 9/11 - 9/14 in New York City at The Playroom Theater, Medicine Show Theatre, First Street Green Park and Bowery Poetry Club. 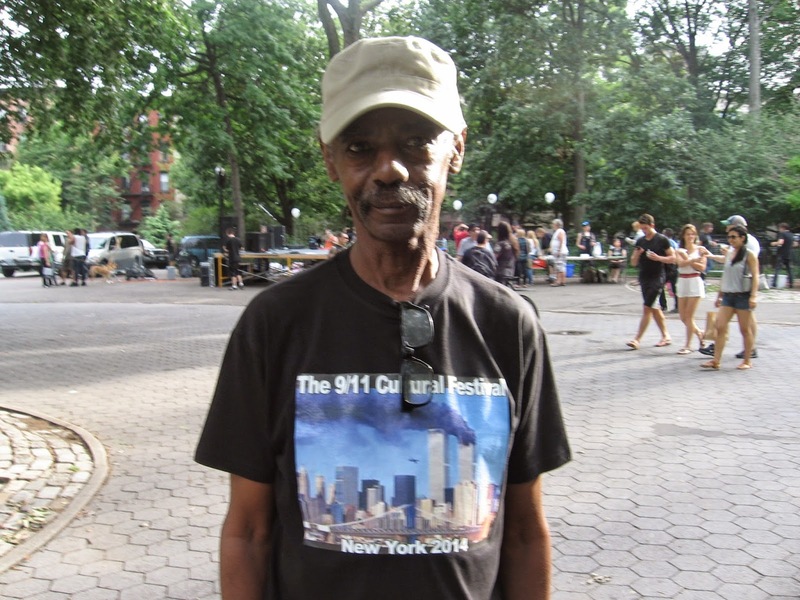 There will be a Script in Hand Reading Series and an Occupy 911 Art Show as part of the event. The World Premiere of a new play "Gaza Emergency Pageant" by Bread and Puppet Theater Company will be the featured event. 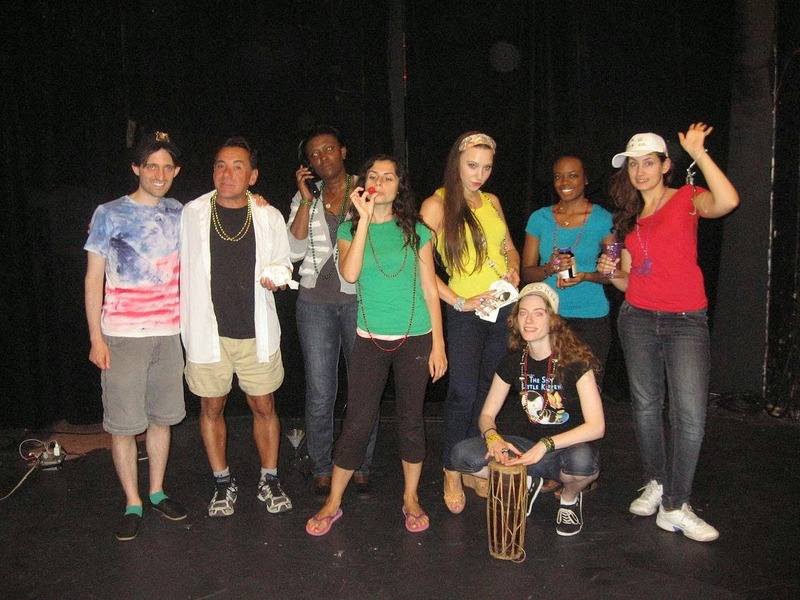 8/16 - The Playroom Theater, http://theplayroomtheater.com/ , 10am - 2pm, Script in Hand Reading Series of The 911 Plays consisting of St. Mark's Place, Naked Uncle Sam, 9/11 & The Youtube Tapes, Horrors of Cocaine and To Kill Eric Garner. Bowery Poetry Club, http://www.boweryartsandscience.org/ , 6pm - 9pm, Poetry readings by Judith Malina, Lois Kagen - Minus, John Farris, Bob Holman, Carla Cubit, Exavier Wardlaw, Robert Hegger and Steve Canon. We are open to any art and performance that may or may not be inspired by 9/11 and we will be encouraging dialogue about 9/11 at the Script in Hand Reading Series and throughout these events about peoples experiences from 9/11. The 9/11 Cultural Festival is seeking artists with 9/11 tribute inspired artwork to display artwork and perform at The First Street Green Park, 9/11 - 9/14, New York City as part of the 9/11 Cultural Festival.